Les Smith won the inaugural award in 1951. The Collingwood Football Club first fielded a thirds team – the under-19s – in 1951, under the coaching of former player Jack Pimm. 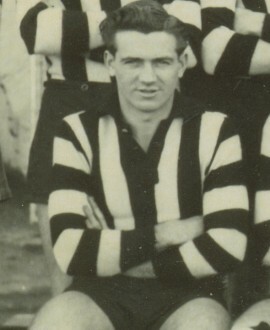 The object of the team was to provide recruits for the senior team, and a number of the first intake went on to play senior VFL football with Collingwood, including the winner of the first best and fairest award, Les Smith (other alumni from that first season include Neville Waller, Bill Jones and Laurie Rymer). The award was named after former captain and then president, Syd Coventry. Fittingly, Syd Coventry Jnr finished equal third in the best and fairest voting that year. The award ceased in 1991, when the under-19s competition was disbanded to make way for what is today the TAC Cup under-18s.